Well, for quite some time, I’ve felt like God was calling me to write. Write about what specifically, I wasn’t sure. And what avenue was I supposed to use? The Word of God is so rich and full I didn’t know where to start. There was so much swimming around in this head of mine that I knew I needed to focus. I had so many questions. What are my passions? Who do I feel called to? What is it that I want to say? What do I want people to know about God and Jesus Christ? So, I prayed, asking God to lead me in the right direction. I knew I just needed to be patient. When the time was right, the Holy Spirit will let me know. Well that was well over a year ago, and God has now given me Olive’s Grace! He is here with us; going through our struggles with us. We are not alone. 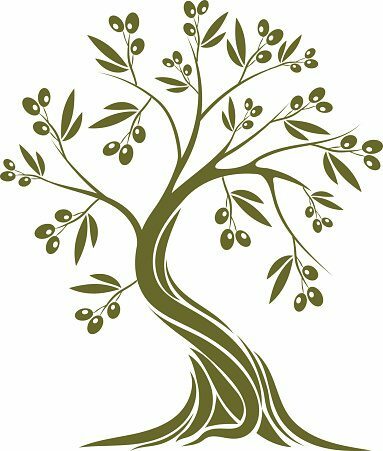 Olive’s Grace will help reveal, through the guidance of the Holy Spirit, how God’s Word speaks to our hurts and our struggles. But most importantly, how it speaks to our healing. God wants us whole because we have work to do! We have Good News to share! It’s in our brokenness that God reveals Himself and brings us closer to Him. However, it’s through our brokenness and our own healing that we can help heal others!! I pray that you read something that encourages, inspires, motivates, challenges, or strengthens you. Thank you for going on this journey with me! If you had given this as a speech in person, this post would get a standing ovation. I know I wish I could applaud and you could hear it. I love this entire post, it has brought tears to my eyes. GOOD FOR YOU. and EXCELLENT ADVICE AND REMINDERS! I am not like other people either, and it gets discouraging. You have helped me feel my own value for a split second here. Thank you so much.